Summary: Summer is over with little prospect of warm weather in September. The schools are back and the party conference season approaches. What passes for life is returning to the British political system as the UK continues its losing battle with EU negotiators about Brexit. In the UK growth and business confidence are slumping rapidly. Austerity continues unabated and student loan interest rates are now about 24 times the Bank of England base rate. In Northern Ireland disagreements between Sinn Fein and the DUP are starting up again. The Equinox approaches and Christmas is not too far away. Maybe it’s time for a tax on football transfers. It is less than a month since the last piece was posted on Outsidethebubble.net but it seems an age. What has been happening? The UK government is completely swamped by Brexit. Other business is so marginalised that little is actually happening. Austerity continues to bite and the cuts are having increasingly damaging effects on many individuals. Lowest paid workers are about to face a fourfold increase in their pension contributions from April. Students are now being charged an extortionate 6.1% interest on their loans. Even some Tory MPs think this may be excessive. The economy continues to falter. Lloyds barometer of business confidence has dropped seven points to 38%, lowest level since 2012. 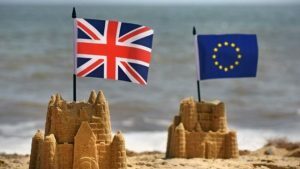 Economic optimism has fallen 10 points to just 18%, The always excellent mainly macro blog (see: https://mainlymacro.blogspot.co.uk/) has a piece on 31 August 2017 pointing out that the worsening exchange rate against the Europe might have been expected to increase exports but in fact they are unchanged. British companies are maintaining their overseas prices and pocketing their increased profits. Unsurprisingly those new profits are not being passed to the workers. Wage growth continues to stagnate. GDP growth is now way below that of the Eurozone, the US, Japan and many other countries. The British economy is now one of the worst performing of the G 20 nations. Three months after a disastrous general election Theresa May remains Prime Minister. She has declared she will go on and on in a way so reminiscent of Margaret Thatcher before she was defenestrated. She looks a worrying combination of tired and defiant, but the defiance is that of a naughty schoolgirl being interrogated by the headmistress. George Osborne continues to crouch on his eagles nest at the top of the London Evening Standard building. At every opportunity he drips acid onto Theresa May. Revenge is sweet against the woman who dismissed him from government so cruelly. He has just written a damning editorial that likened her premiership to the “living dead” in a “second rate horror film”. The Tory party have no appetite now for a leadership battle. That would make an early general election difficult to resist. However the main problem for the Tory party is that the principal contenders look increasingly unattractive. Boris Johnson has been widely criticised for his performance as Foreign Secretary and now appears to have the international clout of a second hand cotton bud. Boris has been very quiet over the summer. Yet George Osborne always has a little acid left for Boris. Boris’s only chance of becoming PM is by keeping very quiet and behaving himself but it seems unlikely he can keep quiet enough. David Davis, the British Brexit Secretary, has been described by Dominic Cummings, the Campaign Director of the successful Vote Leave campaign, as “thick as mince, lazy as a toad and as vain as Narcissus”. As the Brexit negotiations progress (or more precisely don’t progress) that view of Davies looks increasingly apposite. He is no longer seen as a plausible candidate for PM. The Tory party have always done a good job at producing grey men. Philip Hammond is currently the greyest in the Cabinet. Spreadsheet Phil as he is known continues to show the damaging effects of his charisma bypass operation. Again there is not much support for him from Tory MPs. Difficult to think of him leading the Tories to electoral victory. One of the problems with the Tory party is that it routinely crucifies the first MP to challenge a Prime Minister (think of Michael Heseltine). Younger Tory MPs are sitting on their thumbs waiting to see what might happen at the Tory party conference which starts on 1 October. Perhaps the party delegates are crazy enough to abandon Theresa May in favour of some completely implausible candidate such as Jacob Rees-Mogg or Andrea Leadsom. That might give the Tory party the jolt to choose someone much younger and less contaminated by the seven years of failed economic policies. Labour are unsure about their short-term strategy. They feel confident of doing even better at the next election yet the opinion polls suggest there may not be such a big margin after all between them and the Tories. The Labour Party conference starting 24 September may help to focus the minds of the party on the not inconsiderable mountain they still have to climb. If Labour wanted to force a general election there is a major problem in actually doing it. The Tories are unlikely to vote against their own government and, with the help of the DUP, don’t actually need to resign even if they lose significant votes in the Commons. Forcing a general election would be tricky for Labour therefore. Brexit is everywhere. Keir Starmer who leads the Labour Brexit team has convinced the shadow cabinet to back a much softer version of Brexit. He wants to keep the UK in the single market and allow substantial mobility for people. If Labour were to be in government the direction of the Brexit negotiations would change radically. 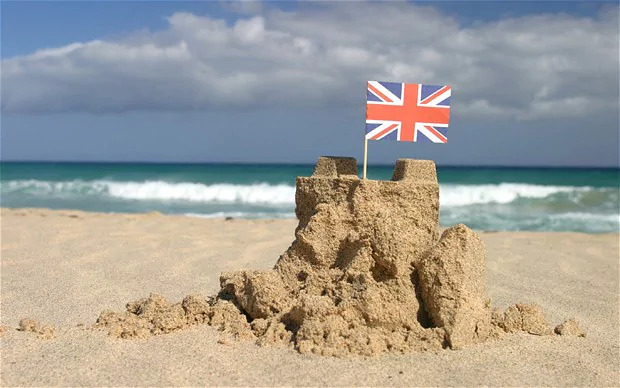 At present the Tory-led Brexit negotiations are running rapidly into the sand. European negotiators are deeply frustrated with the lack of specificity in the British position papers and want to substantially finalise the position of European workers in the UK after Brexit, the Northern Irish border, and the financial settlement with the EU. There are increasing calls to hold a second referendum. This is resisted strongly by the Leave side who claim that the people have spoken and their will must be respected. Given how vague the original referendum subject was it is difficult to resist a second referendum to establish that their will is indeed to leave the EU on the terms negotiated by the Brexit Secretary. There is a growing feeling in the country that we may not, after all, actually leave the EU at all. In summary, the next few months look to be very interesting if you happen to be interested in politics in the UK. Should be fun!